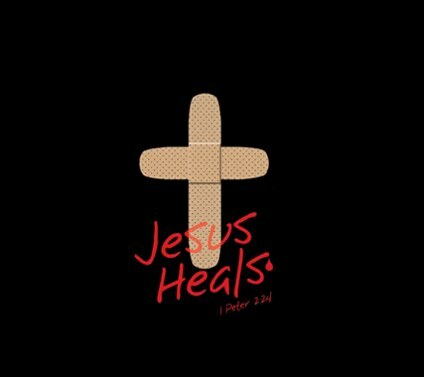 I will heal your wounds, says the LORD. The scars that you carry will only be the proof that I have healed you. I have scars on My hands and feet as I was nailed to the cross for you. They are the proof that I paid the full price for your redemption and salvation. The stripes that were upon Me are the marks that prove that I have purchased your healing. They are not just recorded in a document or a book, but forever upon Me as a reminder that healing belongs to you, as you trust in My finished work on the cross for you, says the LORD. Everything that you need has already been accomplished for you, says the LORD. You do not have to pay for what I have already purchased. It is not your works, but the work that I have finished. I will freely heal you, and give you everything that you need, by your simple, child-like, dependent faith in Me and My infallible Word. You are fully covered from head to toe, in body and mind and heart. For your healing is accomplished at My cost, and you only need to believe and receive, says the LORD. Thank You Abba Father. 🙏 🙏 Woke up praying for healing of the soul, mind, spirit and body. Amen, I believe and receive it! Thank You, Lord, for Your continuing TENDER LIVING CARE & GRACE!! Have MERCY on this SINNER and forgive me, Lord!! Amen…i am growing every day in the Lord.